Q-talk 88 - QBA on the Grow! You are here: Home Media Q-Talk Archive Quickie Builders Association Q-Talk Articles Q-talk 88 - QBA on the Grow! The following people have joined the QBA since the beginning of the year. We welcome you to the group and encourage you to participate in the many fly-ins. I guarantee you will meet a great bunch of people who share your enthusiasm for Quickies. They can offer a wealth of experience and information too. Every Quickie builder and flyer brings their own perspective and life experiences which strengthens the QBA. Thanks for joining the group and let's hear from each of you soon regarding your project. 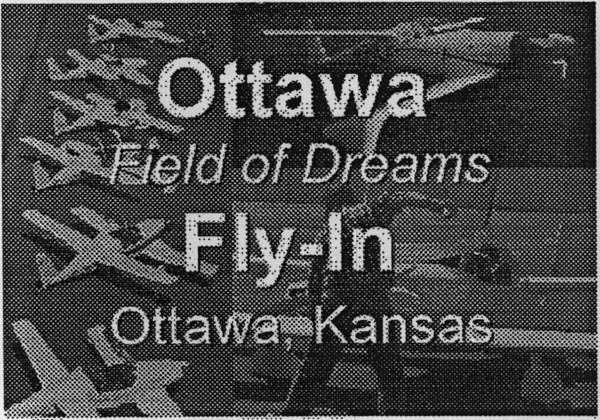 The 2001 Field of Dreams Fly-In will be held at Ottawa Municipal Airport on the weekend of September 28-30,2001 in Ottawa, Kansas. The event is open to all Experimental Aviation Enthusiasts, and to all Canard Wing Composite Experimental Aircraft. 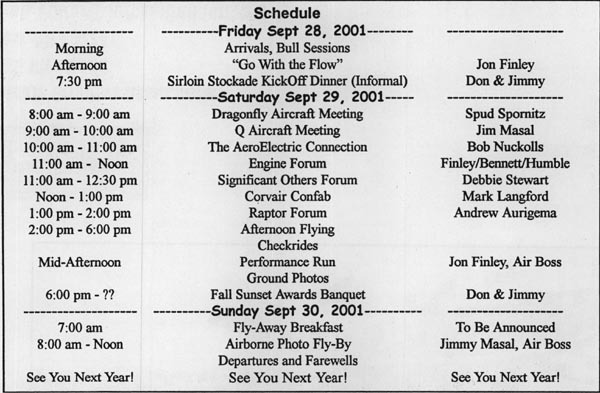 The three day event includes Type Aircraft Meetings, Electrical and Engines Forums, Experimental Aircraft Flyby's, Checkrides, Static Displays, Vendor & Inventor Exposition Hall, Fly-Market and a Fall Sunset Hangar Awards Dinner and Grand Prize giveaways. Please fill out the Registration Form below and mail, fax or email with your payment by September 7, 2001. You can order a printed copy of Q-talk #88 by using the Q-talk Back Issue Order Page.